This personalised world map print makes a fantastic gift for the home, the perfect personalised map print gift. 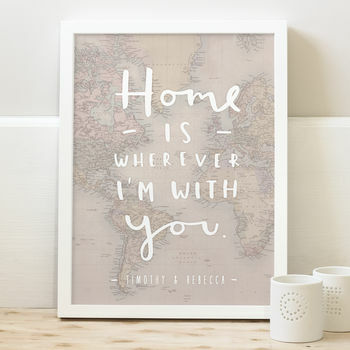 This loveable and stylish typographic map print has been illustrated with the hand lettered typographic romantic quote "Home is wherever I'm with you". 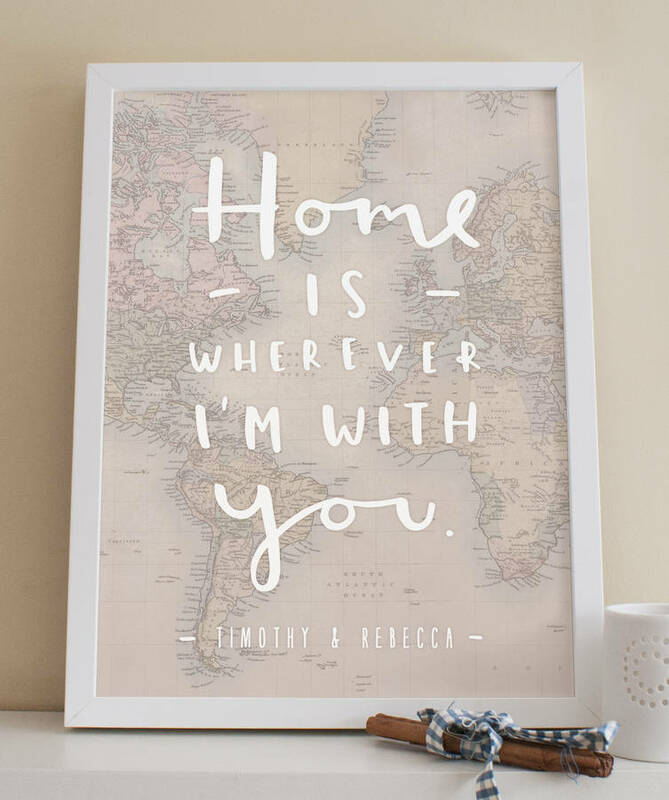 This romantic map print will make you smile and makes the perfect gift for friends or family members celebrating an anniversary, engagement or wedding. 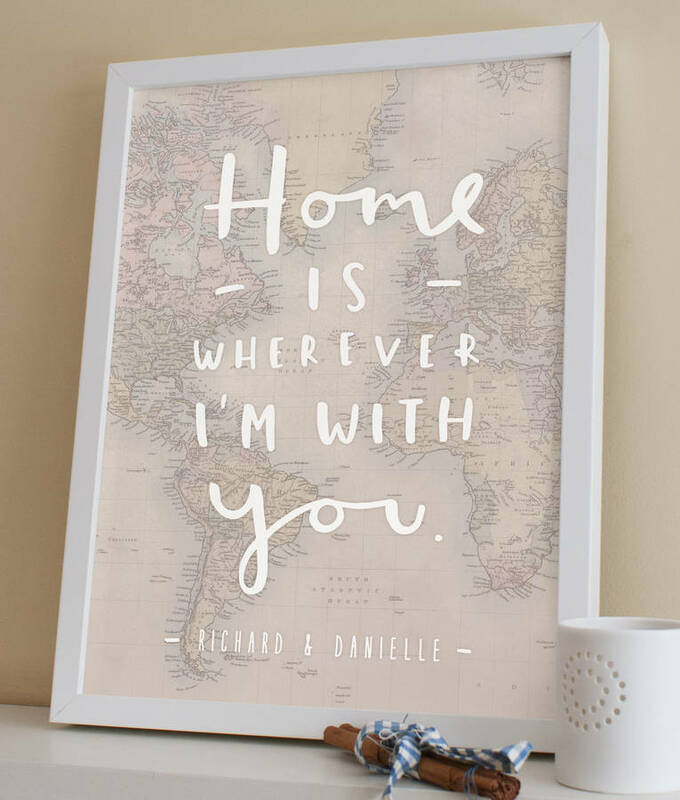 This romantic home map print can be personalised by adding in the names of you and your partner, or the recipients of the print (e.g. Richard & Susan). 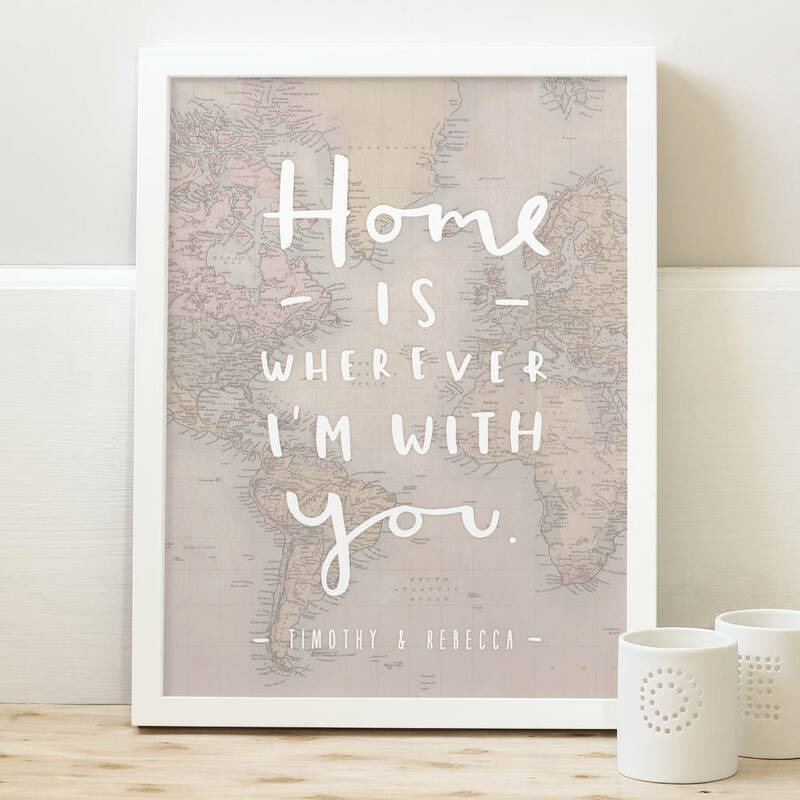 To personalise this print simply type in the names of the recipient's in the box to the right. 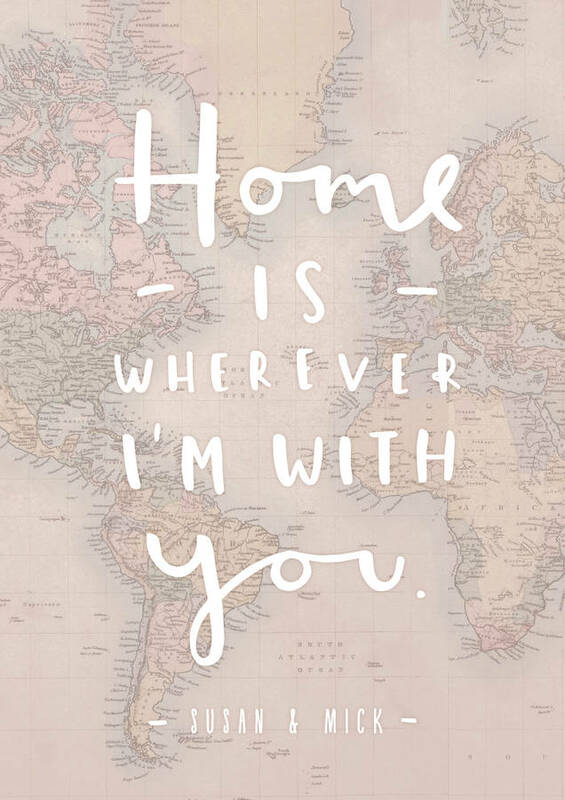 If you would like the home map print without personalisation and no names at the bottom of the print, please leave the name box blank. 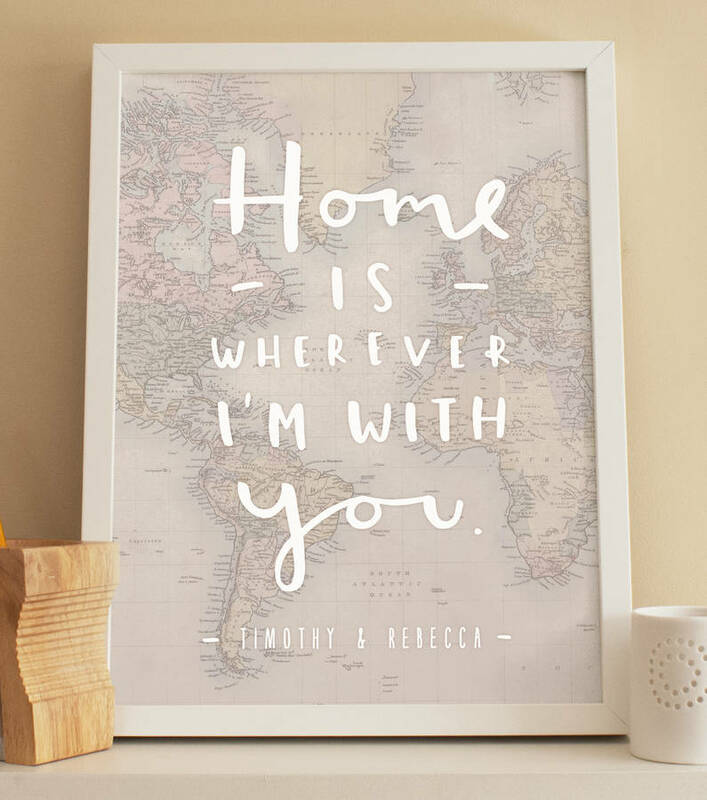 Our world romantic map print is made using thick 220gsm archival matte paper. We use high quality inks to prevent fading over time, this offers a long lasting print.